Meet our super star Library Leaders! They are responsible for helping to make our library a wonderful, tidy, organised place for children and adults to explore their love of books. As leaders they help to show other children around the school how to respect books and develop an understanding of looking after precious things. If you have any questions about how our library is organised please ask them to explain the systems to you. When they are working they wear special Library Leader badges so that they are easy to find. 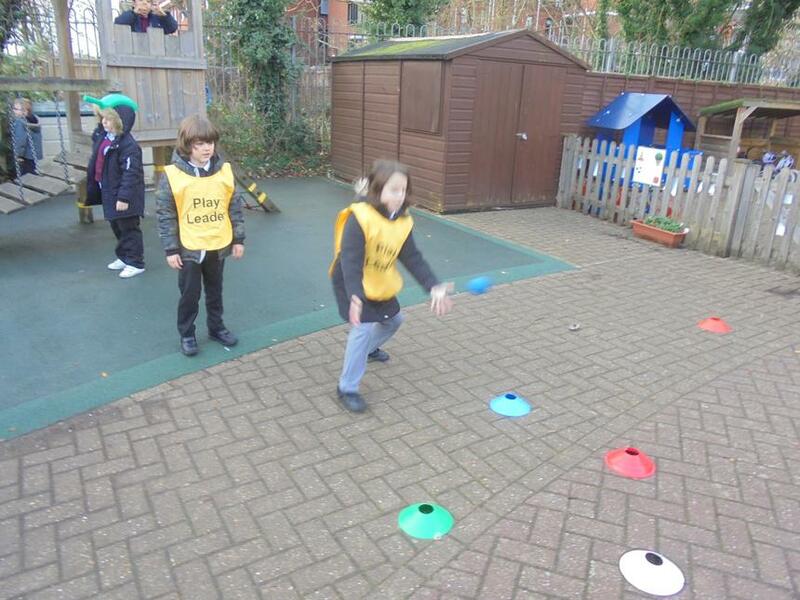 In the Autumn Term, 10 children were selected across Year 2 to be Play Leaders. The Play Leaders were trained over 6 weeks by Juliet McNally (Sports Impact). The children received certificates during Assembly, after successful completion of training to become a Play Leader. 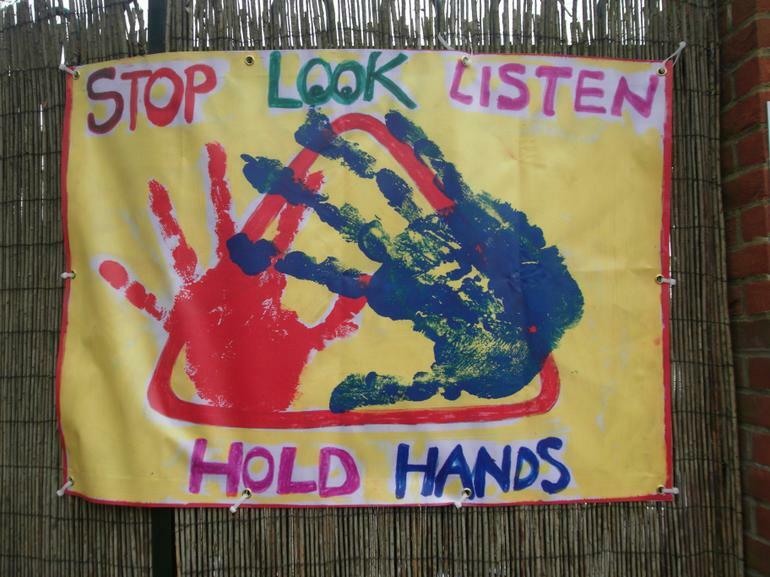 The trained Play Leader leads activities and encourages play at break times and lunch times. 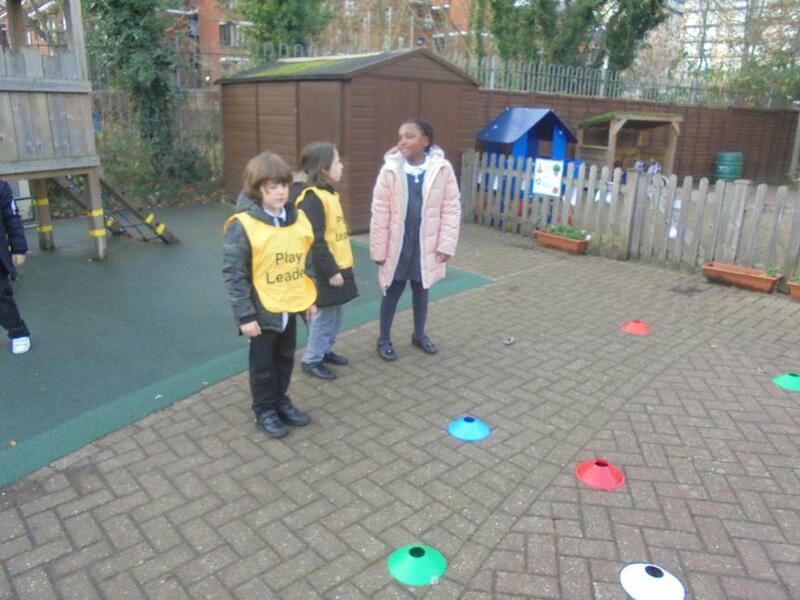 Look out for them in the playground, you can't miss them as they will be wearing yellow bibs labelled Play Leader. 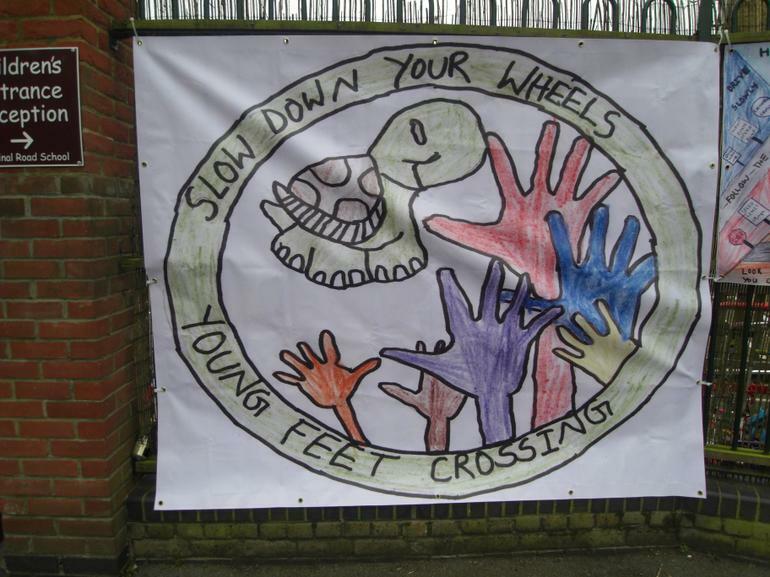 Hello and welcome to the Cardinal Road Infant and Nursery School Councillors web page. 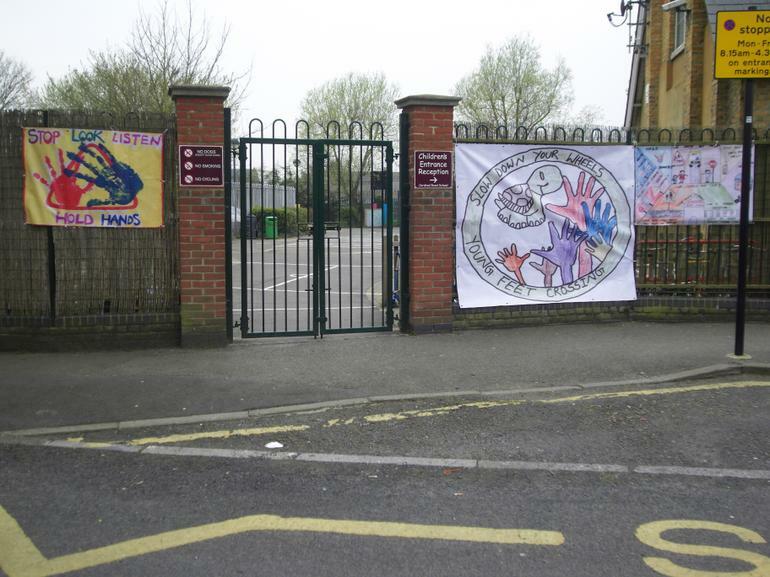 The aim of the School Council is to promote citizenship and to give the children a voice within the school. Each class elects two children to represent them on the School Council. The School Council meets half termly with the School Council teacher representative to discuss school issues raised by both children and staff. After meetings School Council members report back to their classes and sometimes to the whole school in assemblies. The School Council members are also responsible for choosing what they would like to improve upon, voting and then encouraging their class to make changes to improve their class and the school. Ten year 2 pupils were selected to be Digital Leaders. They are keen, confident ICT enthusiasts who carry out responsibilities across the school and assist other pupils with their computing work. 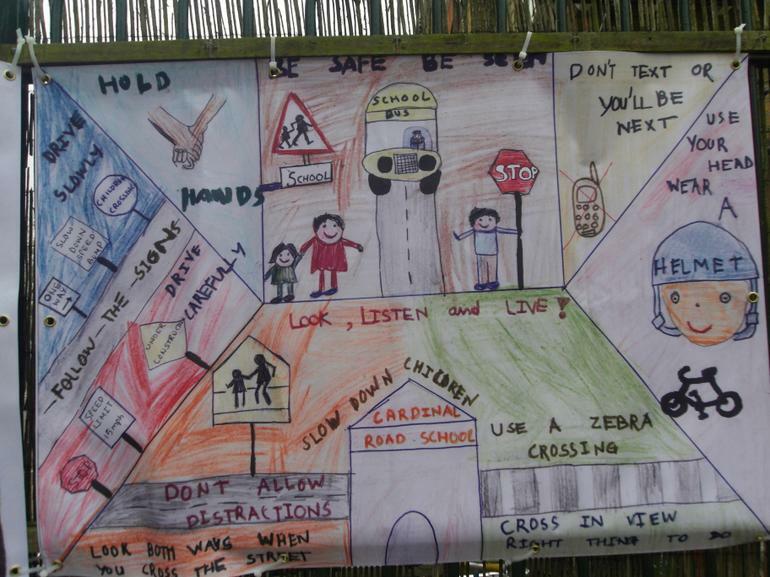 At 8.30am on Thursday 3rd April, the winning entries from the School Council Road Safety Banner Competition were hung on the school fencing. 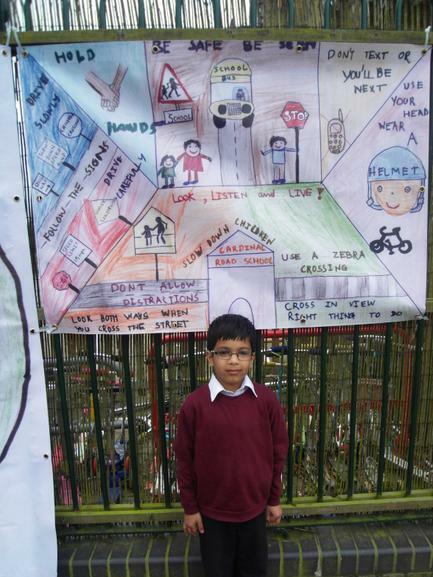 Some School Council members and two of the winners of the competiton were present for this event. As you can see they look amazing! Well done to the winners and to all the children that took part.